On December 2nd Nickhun uploaded a picture of himself and Seul Ong showing V sign on his Tweeter. 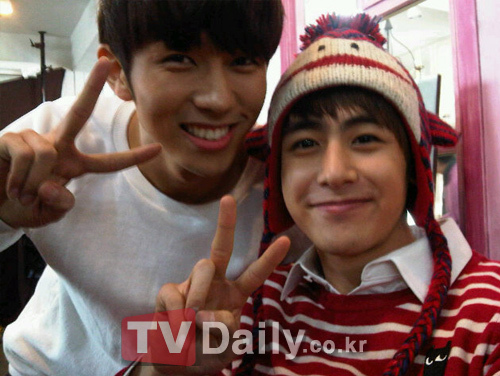 In the picture Nickhun and Seul Ong showed off friendly pose with bright smile and captivated people’s hearts. You two are the best!!!!!!!!!!!!!! for my life. i love u with all my heart, khun!!!!!!!!!!!! !